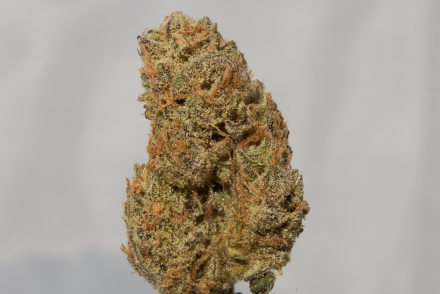 Chiquita Banana, grown by Utopia Farms, made headlines last year when High Times and other publications named it one of the Strongest Marijuana Strains in the World. 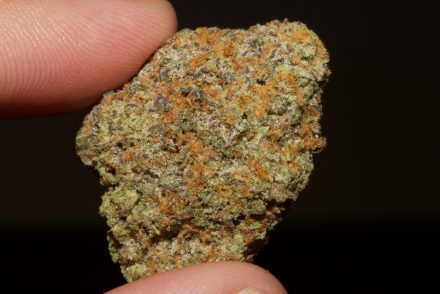 It’s said to consistently test around 30-33% THC – quite an impressive number. But to be honest, I never put too much stake in test results. I’ve seen the same batch of flower test all over the board from different labs. The real test for me is putting some in my lungs. 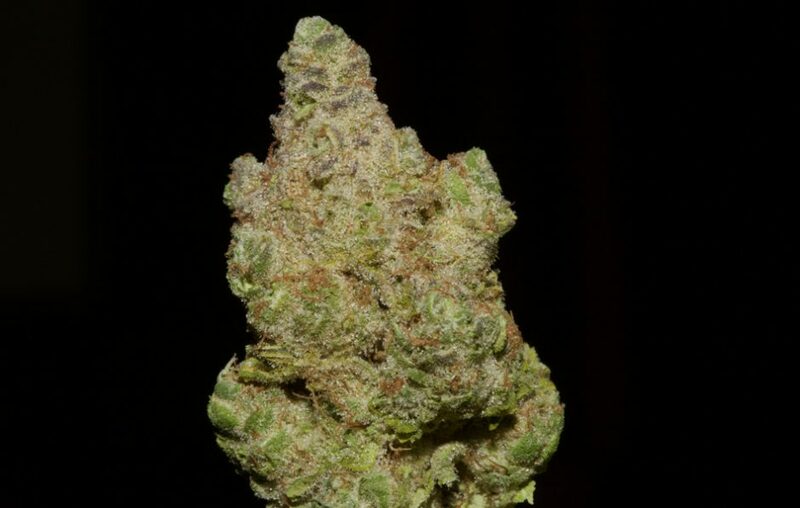 Check out the full Chiquita Banana strain review below. 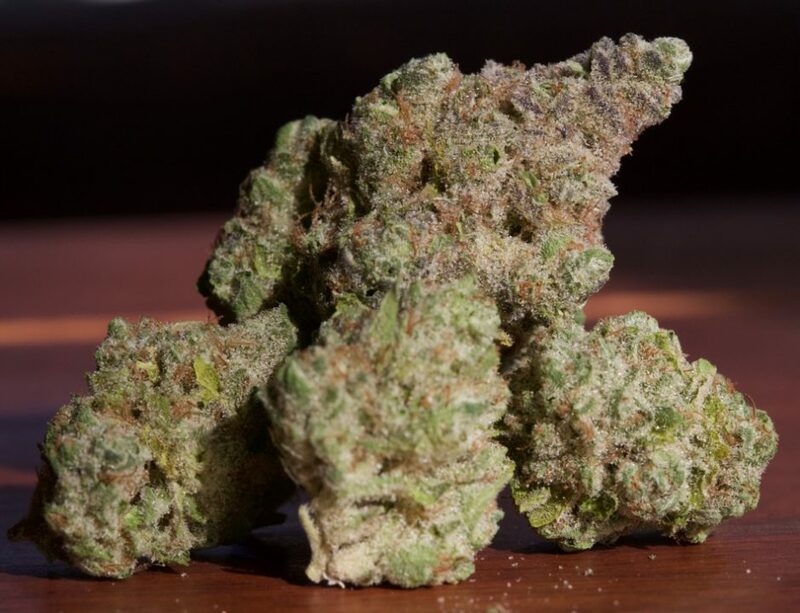 The Chiquita Banana buds are chunky, stacked and covered from top to bottom in a heavy coating of trichomes – when I break open a bud the trichomes rain onto the table. The color spectrum on the leaves is really interesting, ranging from light yellow/green to hues of purple on the tips. The buds are lightly peppered with small pistils that are a light, almost apricot-colored hue. There are quite a few layers of aromas that stand out to me when I grind up a nug of Chiquita. I’m first hit with some sweetness, mixed with cinnamon, nutmeg and spice. You can definitely relate some of the smells to a ripe banana peel. The sweetness then gets mixed with a wave of kush funk – a delicious combination. While the sweet banana influence took center stage in the smell, the flavor of the Chiquita Banana leans much more toward its kush ancestry. Each exhale coated my mouth with a mixture of earthy kush and spice followed by a lingering sweetness. Joints ended up being my favorite way to smoke this delicious bud – each hit down to nearly the end was flavorful, clean and smooth. This strain will leave you licking your lips. While I can’t substantiate any claims about Chiquita Banana being one of the strongest strains in the world, I can say with confidence that it packs quite a punch. As I’m sitting here writing this, after smoking a joint of Chiquita, I can feel waves of energy pulsing in my temples and across my forehead. 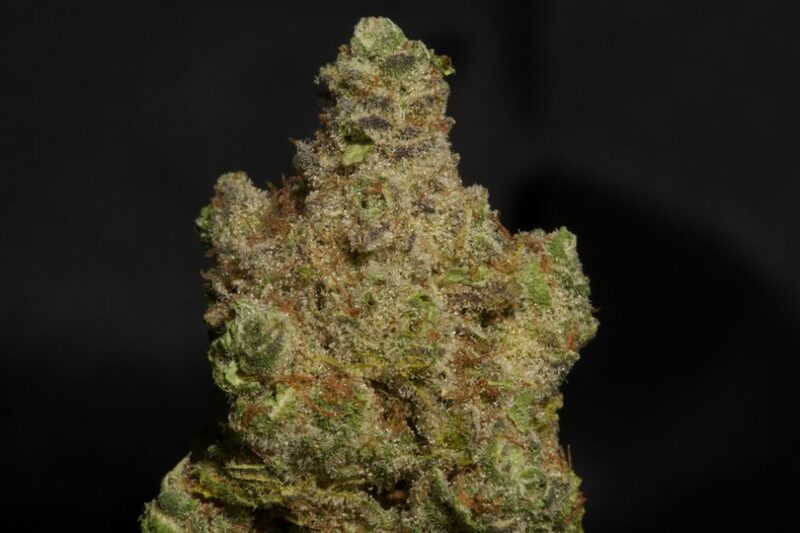 From the gorgeous buds and complex aroma to the flavorful smoke and heavy-hitting stone, this Chiquita Banana is top shelf from top to bottom.